Blog on health related information for those moving toward a wellness lifestyle. 1. It causes accelerated ageing of spinal discs, bones and joints. This will eventually lead to painful conditions of the neck or back. 2. It has far reaching, not just spinal effects, compromising organ and nerve function. This negatively impacts things like lung function, digestion and mood. 3. It can be corrected ! Learn how to change your posture and change your life. At Maple Leaf we do a detailed Posture Assessment as part of our Initial Consultation. Share this info with your loved ones and get your family checked by a chiropractor. 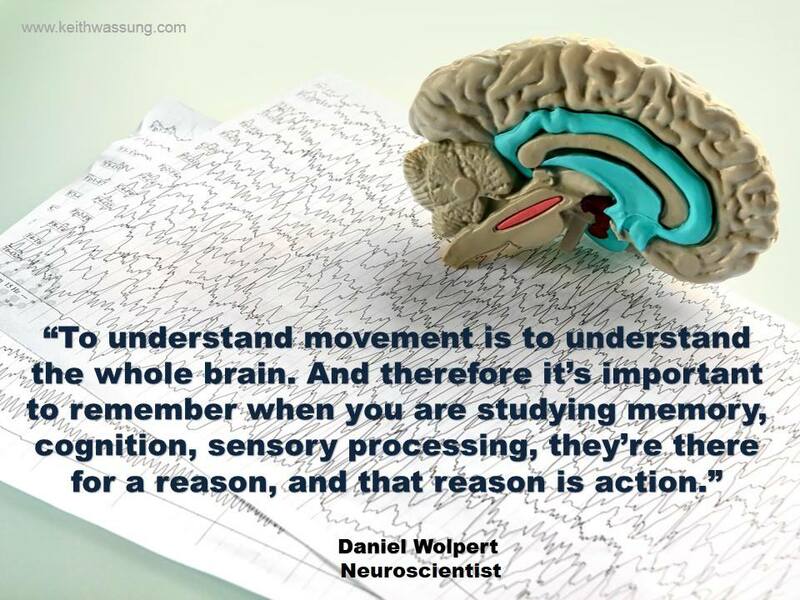 Your whole body and its physiology are designed around movement. In fact, even the most basic organisms have a system of detection “a nervous system” and system of locomotion. These are there to either take them toward nutrients and a sustaining environment or away from predators and threats. While all your trillions of cells make you a highly complex multicellur organism your whole body, its organs and their workings (physiology) are essentially doing the same thing: Keeping your nervous system alive, so it can move you toward food and away from threats. In a human embryo the first organ we can see developing is the Neural Tube, even before the heart starts beating! This is the early nervous system and will control and regulate every function in your body. Wow! As the embryo grows into a foetus and then us, the nervous system continues to grow and develop. The main nerve circuits like breathing, control of heart beat and reflexes are “pre-wired”. The other pathways contain trillions of “unprogrammed” potential and tentative connections. These connections are either “embedded” and “expanded” or are “pruned”, depending on whether they are stimulated or not. This stimulation comes primarily from … wait for it …. movement, interaction with and in the environment. So it’s really this movement and stimulation that creates and re-creates the wiring and connections within your brain and spinal cord (nervous system). We now know that the nervous system tells our body how and when to move, but it turns out that when we flip it on its head, our brain and spinal cord actually need the stimulation of movement, to tell it at what level to operate. In and around all your joints you have lots of little sensors that detect things like movement, tension and pressure. These sensors (proprioceptors) send signals to your brain to tell it where each body part is in space. These signals are very important for balance and control of limbs. When these sensors stop sending signals to your brain, like when you sit down for more than about 20-40 minutes, the brain slows (down-regulates) your metabolism and decreases alertness. Ever sat at your desk and looked down at your watch and thought, “I’ve been sitting here for 2 hours and have only a typed handful of lines?” Your sitting, or rather your lack of movement, has decreased your mental alertness. The opposite can be seen if you watch someone on an important phone call, they can be seen pacing up and down, literally “on their toes” ready, engaged and highly adaptable. Movement is crucial for developing and maintaining a healthy nervous system. Movement improves and maintains nerve pathways that can help mental function and memory. 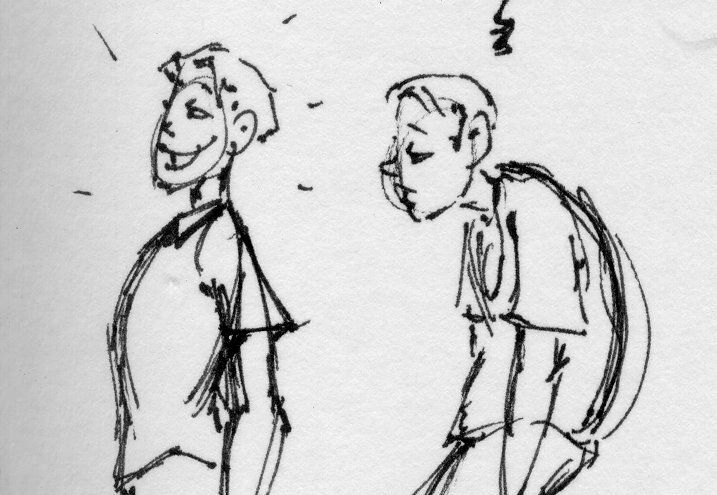 Lack of movement changes the way your brain and body function (in a bad way). I used to love the research process. I loved the order. Where others found the stats boring, I found “crunching the numbers” fun. Putting meaning to these by interpreting the results, “Wow, what a privilege!” I published several papers and presented these at International Conferences. I liked the prestige that came with this. I admit, it stroked my ego. I’m not actively involved with research these days. I still read articles every week and follow trends in Health Care science. But I’ve become somewhat disillusioned by it. Why? One of the reasons is it takes the patient experience out of the equation. The outcome must be isolated, numbered and variables removed. The reductionist model doesn’t really fit practice, because we are the variables. Wellness Care takes into consideration the whole person. The quantitative scientific process gives us glimpses of what might be going on, but it can never tell us the whole story. We design elaborate studies with more and more complex statistics (I have to believe these will give me the answers without always understanding how they work, but that’s a whole other essay) to help us get insight into what or how things might work. Where does that leave the client or patient? Nowhere! Because they aren’t interested in being a number and they probably won’t fit the criteria for the study and even if they did – they will have variables that can’t be measured or even known. Even if they were an exact fit for a particular trial they might be the 10%, 20%, or 30% that didn’t respond like the rest. From my experience as both practitioner and clinical scientist all patients want is: “to be well”. For some this is just getting out of pain, or being able to sit on the floor and play with their grand-kids and for others its being able to train for some epic physical challenge. 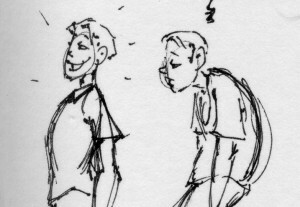 This is the part I like about practice: the variation within, the uniqueness of the person in front of me. The idea that flipped a switch in a 12 year old boy’s brain 32 years ago, “I can help people by working with the frame of the body and support the healing process without drugs or surgery!” is still alive in me today. So, having studied all those years, learned all these skills and helped thousands of people, what inspires me now? Finding out what drives each person to seek their version of health; helping people identify their wellness goals; physically playing a part in their healing; educating; inspiring and motivating each patient or client to reach their health goals. In short: optimising their life experience through true health & wellness. 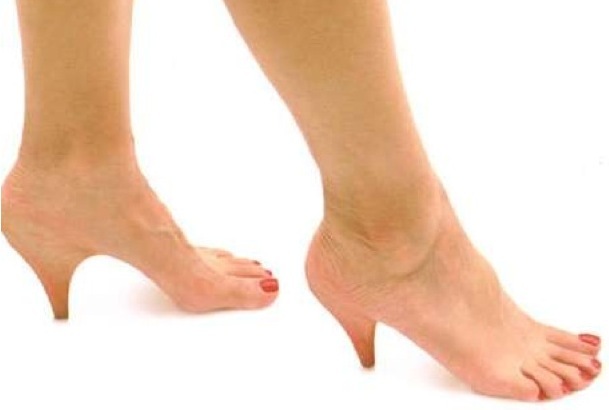 If we were designed to wear heels our feet would look like this. Many women love high heels, some men too, or at least looking at women wearing them. We know they make the wearer’s leg look slimmer and longer? But, from a health perspective, they are a disaster. They mash the toes, bending them upward and pushing them inwards. This causes painful and unsightly bone and joint changes like bunions, hammer & claw toes (ironic, considering women wear them to look good). They create excessive forces through the foot, ankle and knee causing early arthritis (degenerative joint disease). They increase the chance of ankle sprains and fractures. 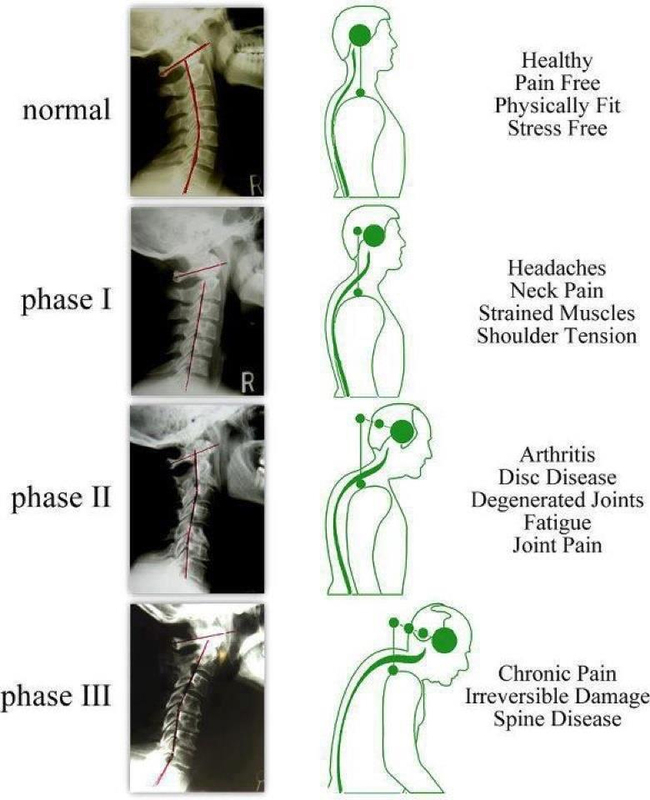 They changes posture contributing to spinal pain. My advice is avoid all high heels, don’t kid yourself they are causing damage. If you must wear them, then go as low as possible. A 1 inch heel increases the load on your forefoot by more than 22%; 2 inch heel by +57% and 3 inch heel by +76%. In the end the questions is: How much are you willing to damage your health, just to look taller?